Mission is a way of life for the Norman family, comprised of Matt, Michelle, Cayden (13) and Aaron (9). Matt – a missionary kid who grew up in Africa and Greece – and Michelle – from Raleigh, NC – met as students at Gardner-Webb University. The Normans settled in Raleigh, where Michelle worked for WMU of NC and Matt for advertising/marketing agencies while they also both helped start a new church. In 2003, Matt and Michelle became CBF short-term field personnel (missionaries) to Canada. Their ministry in Toronto, the world’s must multicultural city, was to equip and empower Canadian churches in ministry among international students. 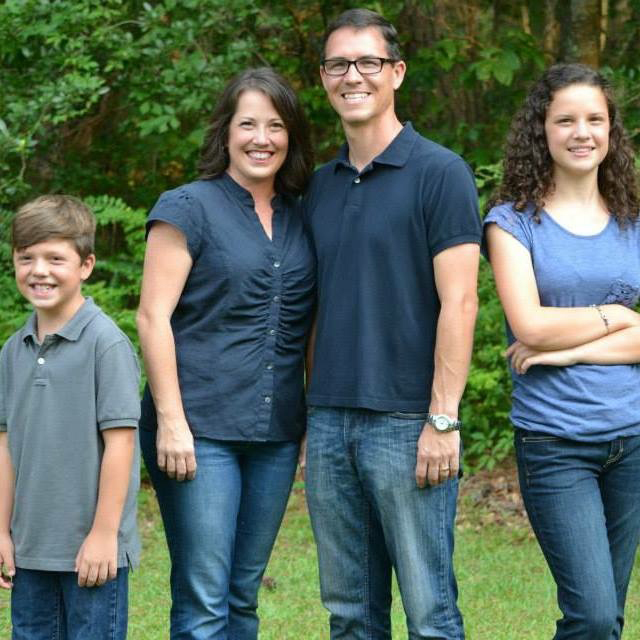 They left Canada in 2005 and moved to Atlanta, GA., where Matt worked as CBF’s Education Development Specialist and Missiologist. He completed a Masters in Global Leadership from Fuller Theological Seminary. In addition to freelance project management, Michelle continued ministry among internationals in Atlanta. In 2011, the Normans were again commissioned by CBF and now live in Cerdanyola Del Valles, Barcelona, Spain. According to the United Nations High Commission on Refugees, every minute eight people are forced to flee war, persecution or terror. Right now, thousands of people flee from places like Syria, Pakistan, Afghanistan, Mali and the Congo. Thousands across Africa and Central Asia find themselves in the midst of draught, famine and living in conditions of extreme poverty. More than 18 million people across West and Central Africa are facing a food crisis following erratic rains that have caused poor food harvests and water shortages. Economic conditions are such that many live on less than a dollar a day. This is known as the “poverty that kills” and such difficult living conditions have led large numbers of people to flee their countries. During the years 2005-2010, Spain received the second highest number of immigrants of all countries, topped only by the United States. On average, they receive 600,000 arrivals per year. Large numbers of foreign born population in Barcelona come from areas of the world where it is extremely difficult for religious workers to gain entry into their country. Many are unreached people groups and some are even unengaged, meaning there is no Christian influence among them at all. In Catalunya, the region of Spain in which the Normans live, most people have abandoned the church. In a recent survey, only 3% of the respondents consider religion as one of their three most important values. Less than 1% of the 7.8 million people are Protestant and there are 366 Protestant churches in the entire region. Additionally, the economic crisis in Spain has left many families out of work and struggling to meet basic needs. Unemployment is at 26% and is even higher among young people in their 20s and 30s. The potential to share hope in Christ and the love of Christ in tangible ways is huge and often overwhelming. 1. Lean the Spanish and Catalan language and culture so they can share the gospel and life together. 2. Build deep relationships grounded in faith. 3. Listen and learn from Spanish Baptists and the migrant/refugee and international student community, identify critical needs that align with their skills/giftedness and discover leaders and people through whom God is working. 4. Connect in ministry with Cooperative Baptists as they seek to minister among our international neighbors wherever they may be. Believing God will call churches to join this life-changing ministry, the Normans invite CBF OK to become a ministry partner that will pray for, financially support (the Normans raise 100% of the funds necessary to serve in Spain), and join them in ministry. 1. Prayer: We will share our prayer concerns with the Normans and pray for their ministry in Spain. 2. Share the Story: We will develop ways to share the story of how God is moving in Spain among Internationals thanks to our churches’ involvement. 3. Give: Commit to give an annual financial gift (given through CBF and committed to our ministry) that will help enable the Normans to serve, share the gospel with and live among immigrants and international students long-term. 4. Local Service: Pray, discern and engage in local opportunities to minister among immigrants, refugees, international students or others among the most neglected. 1. Sports Day-Camp in the Park: Individuals with interest/abilities in sports ministries are needed to develop a one-week camp for the youth of immigrant families. Public playgrounds provide the setting for Christian witness through sports development. 2. EFL with Internationals: Individuals and teams are needed to assist with English-as-a-Foreign-Language training. Persons and groups can provide conversational labs for and friendship with immigrants who are learning English to get better jobs. 3. Marriage & Family Encouragement: Christian couples with healthy families and training or experience in marriage & family enrichment are needed to lead workshops for young couples. Both Christians and non-Christian couple participate in workshops. 4. Youth English Camp: The month of July is a crucial time for families in the Norman’s community as they have to work and have little options for their kids. Teams will come and implement a week of English camp based upon Christian values for youth in the community. God is moving among the thousands of immigrants and international students in Spain; we trust God will transform not only the immigrants and international students, but through those people being Christ’s reconciling and healing presence, God will transform Spain and the entire world. We believe this ministry may open a door of opportunity for your church to engage in God’s mission. Will you prayerfully consider joining us in mutual ministry partnership? We look forward to meeting with you and discussing the possibilities of partnership in God’s mission.